Brand New! Weapon Light Accessory Ready When You Are! 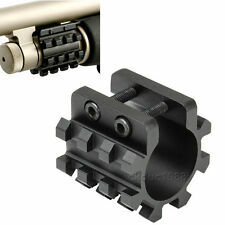 Streamlight Tactical Rail Mount Flashlight Adapter For Remington 870 Mod #69906. Can be mounted under the forearm under the L and R side of the forearm. Applications: Widely used in pistol pistol flashlights, it is also a good choice to install in daily life or camping, which is small, which makes it more flexible to use. 1 flashlight (no battery. Displayed when the battery is photographed, not included in the product.). This will allow you to attach multiple weaver & picatinny style accessories (flashlights and lasers) to your shotgun. It features a Crisp white bright Cree LED light bulb and it operates with a sliding on/off switch. (Tri-Rail Barrel Mount for Mossberg 500 Remington 870 with Tactical LED Flashlight. 3) Crisp white bright Cree LED light bulb and it operates with a sliding on/off switch. 5) The rails are designed so that you can attach your accessories at any of the 5 angles that the rails provide. (Tri-Rail Barrel Mount for Mossberg 500 Remington 870 with Tactical LED Flashlight. 5) The rails are designed so that you can attach your accessories at any of the 5 angles that the rails provide. Not only can you mount your accessories at the typical 3, 6, and 9 o'clock positions, you can also mount the accessories in the 4:30 and 7:30 o'clock positions. (Tri-Rail Barrel Mount for Mossberg 500 Remington 870 with Tactical LED Flashlight. 1 x tactical flashlight. 3) Crisp white bright Cree LED light bulb and it operates with a sliding on/off switch. 5) The rails are designed so that you can attach your accessories at any of the 5 angles that the rails provide. It features a Crisp white bright Cree LED light bulb and it operates with a sliding on/off switch. The rails are designed so that you can attach your accessories at any of the 5 angles that the rails provide. Mount and the sling swivel SET, Solid Aluminum 3 piece, 4 slots, Easy to Install. Both side with hole for Quick Detach Sling Ring. Fits most 12 / 20 Gauge Shotguns Bar-rel, Perfect for flash light /laser ect. This will allow you to attach multiple weaver & picatinny style accessories (flashlights and lasers) to your shotgun. The rails are designed so that you can attach your accessories at any of the 5 angles that the rails provide. (Tri-Rail Barrel Mount for Mossberg 500 Remington 870 with Tactical LED Flashlight. 1 x tactical flashlight. 5) The rails are designed so that you can attach your accessories at any of the 5 angles that the rails provide. Thicker More Rigid Recoil Absobing Scope Platform That Channels Recoil Away From Scope. Strongest Aluminum Saddle Mount On The Market Made Of Aircraft Grade Aluminum.200 Thousandths Thicker Picatinny Style Rail Perfectly Contoured To Fit Your Gun. 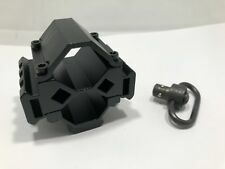 (1" Tube Light Laser Mount 12GA Fit for Picatinny Mossberg 500 Remington 870. 3) The rails are designed so that you can attach your accessories like Lasers and Flashlight at any of the 5 angles that the rails provide. (3) The rails are designed so that you can attach your accessories like Lasers and Flashlight at any of the 5 angles that the rails provide. 7) Installation may require user to disassemble barrel, magazine tube/end cap/ clamp. (1" Tube Light Laser Mount 12GA Fit for Picatinny Mossberg 500 Remington 870. 7) Installation may require user to disassemble barrel, magazine tube/end cap/ clamp. 4) You can either mount your accessories at the typical 3, 6, and 9 O clock positions, or mount the accessories in the 4/5 and 7/8 O clock positions. Tri-Rail Weaver Mount Laser Flashlight 12G Shotgun. •Allows the shooter to mount accessories to their shotgun like flashlight and lasers. •1" Shotgun Mag Tube Mount. •5 different angled rails to mount accessories to. 10” 257X20mm Long 25 Slots Picatinny Weaver Rail Mount Base For Rifle Gun Scope. 13 Slot Double Rail Quick Detach Picatinny Angle Mount Weaver Rail Scope Mount. Tactical Picatinny Rail Scope Mount For Remington 870 Shotgun & Other Models MNT. Tri-Rail Weaver Mount Laser Flashlight 12G Shotgun. •Allows the shooter to mount accessories to their shotgun like flashlight and lasers. •1" Shotgun Mag Tube Mount. One Step install. The Three rails on this mount enable you to use 5 different mounting positions. 5PCS 20mm Double Barrel Rail Picatinny Weaver Mount Laser Flashlight F Gun Rifle. 2setTactical Red Laser Beam Sight Scope w/ Mount for Gun Rifle Pistol Picatinny. Tactical Green Laser Dot Sight Compact Picatinny Rail Mount 20mm for Rifle. 2 PCS 1 Pair 45 Degree Offset Rail Mount Quick Release for Picatinny Weaver Rail. Tactical Compact QD Quick Release Picatinny Weaver Rail Rifle Scope Mount 8. 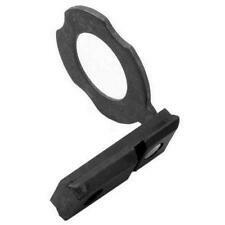 Tactical RMR Red Dot Sight Low Picatinny Rail Mount Base for RM33 Vism Sight.